Does this phone mount hold its--and your phone's--weight? 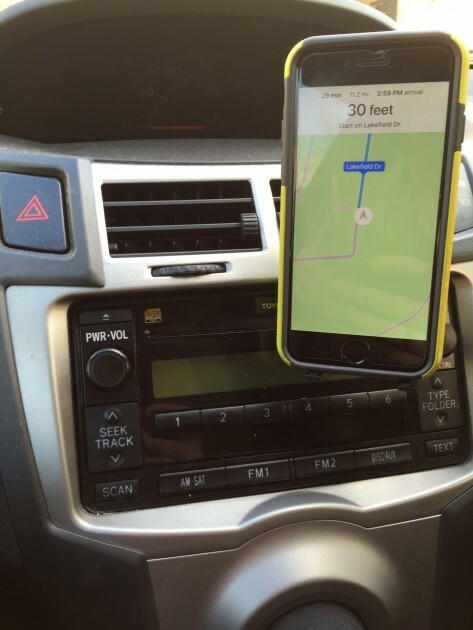 There are hundreds of smartphone mounts available for consumers. 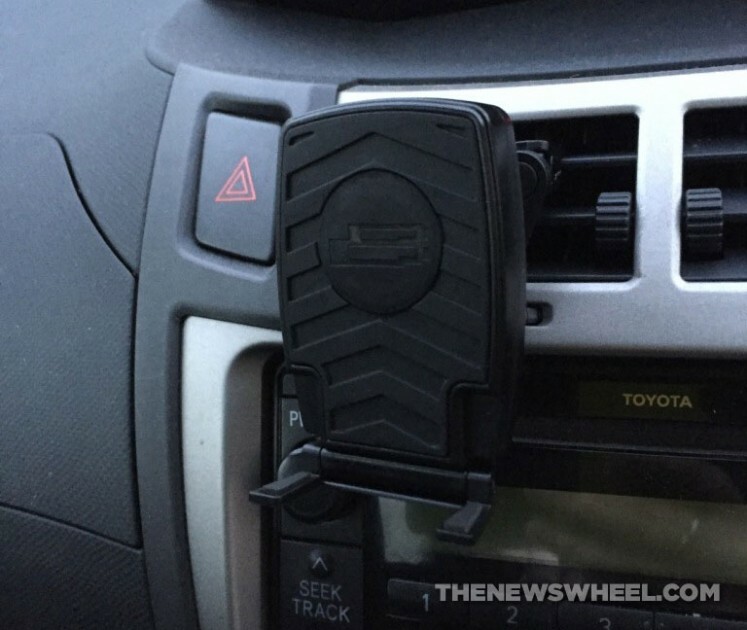 Each of these mounts pinch, squeeze, clip, and stick their way toward making it relatively easier for drivers to access their cell phones without taking their eyes off the road. While it might seem like the smartphone mount market is overrun with options, there are a few types that truly stand out—and the Bracketron O2 Earth Elements smartphone vent mount does just that. With its innovative use of magnetic technology, and non-cumbersome style, this option is unique and offers convenient smartphone storage without fiddling with ratcheting arms. There’s only one word to describe the packaging of this product—smart. The manufacturer shows off the O2 Earth Elements magnetic technology by using the small magnetic plate in a flap that opens to reveal the mount and a variety of information about it. 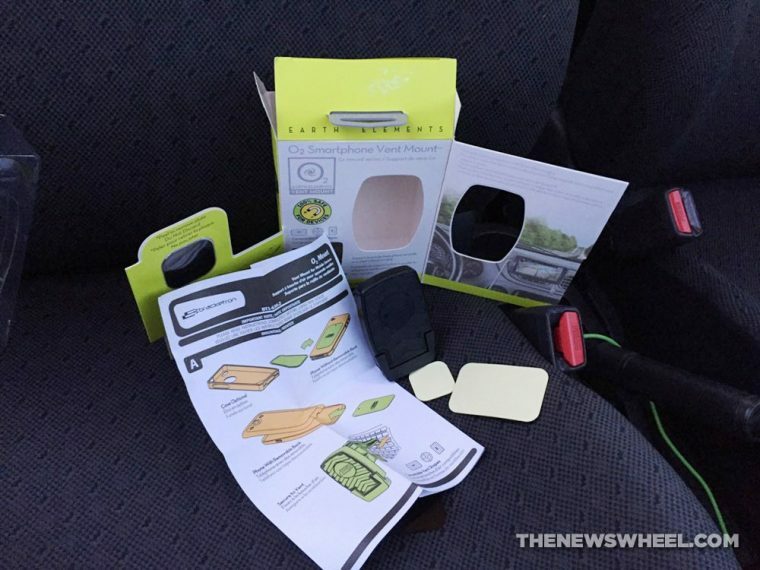 Its bright green accents help the packaging stand out, and the product is easily accessible when unboxing it. All I had to do was break a single seal and voila! I had a smartphone mount in my hand. The only real problem I had with the entire product was its instructions. I’m the type of person who reads the instructions, reads them over again, looks at the foreign language bits (even though the only language I know besides English is Latin), and then reads the instructions again. Somewhere in my obsessive instruction reading, I missed the fact that you don’t have to use the adhesive pad and I spent about 10 minutes merely trying to get the pad bit unpeeled. Once I figured out that I didn’t need it—after I had stuck it to the back of my phone and had to spend another 10 minutes trying to remove it—everything was really easy. All issues here were most likely user error. The instructions themselves are mostly pictures, with the occasional words. If you have a phone with a case, you can easily slip the magnetic plate between your phone and its case. It’s really that simple. The mounting instructions were also simple and straight-forward. Each direction was easy to follow and I got everything put together quickly after the aforementioned mishap. The O2 Earth Elements vent mount is compact, and it has these terrific legs that adjust to the size of your smartphone, which make it even more secure on the stand. It is truly universal and can work with any smartphone, whether it has a case or not. If you want to adjust its angle, there is even a great 360-degree-rotation feature that makes it possible. There’s also no reason to worry about whether your phone is safe with the magnet on it—I have yet to have a single problem with my phone after inserting the magnet. 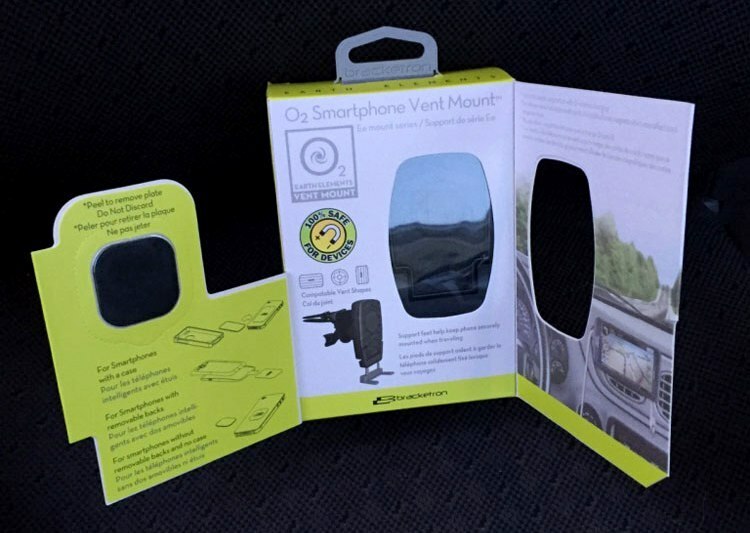 The O2 Earth Elements vent mount is compact, but it can get in the way occasionally depending on your car’s vents. In my Toyota Yaris, the only vent that is convenient for it rests right over the CD player, which makes it hard when I’m trying to listen to Adele’s new jam. In this instance, though, the 360-degree rotation comes in handy because I can just flip it up if need be. I haven’t had even a second of doubt that the mount wouldn’t hold my rather large iPhone 6. It got plenty of use over the Thanksgiving holidays as I traveled around Cincinnati, and I didn’t have a single problem. The vent clips might not seem extremely sturdy at first glance, but they hold on like a koala and the mount (and my phone) has yet to fall off the vent. The only issue I have experienced was the difficulty of getting my phone off the mount. I feel like I shouldn’t complain about the fact that the magnet is too strong, but if I don’t take my phone off the mount with two hands, I end up taking the mount with me. Overall though, this product definitely does what it advertises. Though the O2 Earth Elements smartphone vent mount looks little, it is certainly mighty. With a small and large magnetic plate to choose from, adjustable legs that will hold your phone up, and a compact size, this smartphone mount is worth the money and is a great choice for your everyday phone holder. 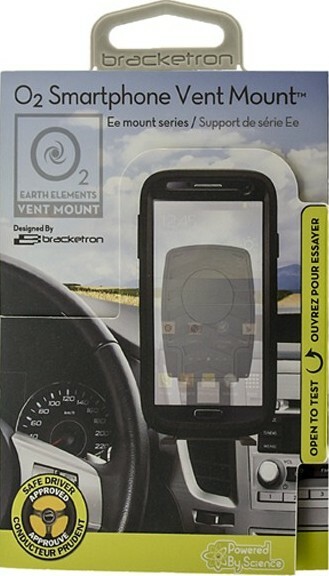 The Bracketron O2 Earth Elements Smartphone Vent Mount is available through the company’s website and in select retail stores (listed on Bracketron’s website).